We all know we should do it more, more actively and with the aim of truly understanding the messages being conveyed. We’re talking about listening. Unlike speaking, being an exceptional listener is a less celebrated skill. But listening is the essential ingredient behind winning campaigns that have buy-in from our members, supporters, beneficiaries and donors. Without listening to your community, how can you have a proper conversation with them? More and more charities have invested in being led by their communities over the years. From highly successful user generated campaigns on social media to charities taking bold positions led by their network. We’re seeing more organisations make it their mission to put people first. For the next episode of the CharityComms podcast, we spoke to James Barker and Marnie Winterburke, from the digital team at the NSPCC, about the charity’s audience-centred campaigns, along with the changes being made to the website. Not only is the NSPCC communicating daily with users on channels like Childline, it’s also using digital data to truly understand their behaviours. This includes combing through metrics like search terms and Google trends, chat services and message boards. Its also making the most of digital data to optimise spend over the lifetime of its campaigns and taking a holistic view of all touchpoints, including online and offline metrics. But data will never paint the whole picture; as Marnie says, it’s only as good as your aims and objectives, as well as the journey you want to take users on. Marnie and James told us all about Understand Me, NSPCC’s campaign to challenge prejudice and empower young people to speak out about racial bullying and discrimination. Designed with its audience at the heart of the campaign, the concept was developed as Childline advisors noticed spikes in calls during significant events such as terrorist attacks or the Brexit referendum. The campaign has been highly successful and led to collaborations with grime artists, as well as a 22% increase in contacts to Childline from BME young people at the time of recording. 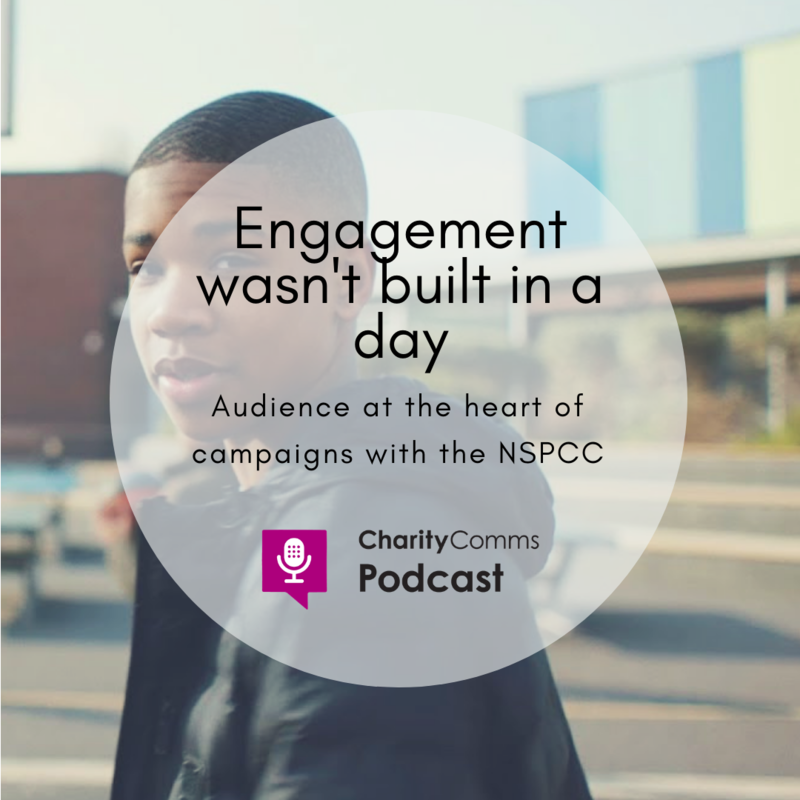 Download the episode to find out more about developing campaigns at NSPCC. If you’re interested in podcasting at your charity, check out this article on charities that podcast. We’re also keen to hear from people who want to get involved, so drop Robyn an email or tweet us! We’ve had some amazing conversations with people who are interested in podcasting, and we’re looking forward to more podcast from our network. You can also get in touch with us personally, Robyn’s on Twitter @RobynLewes and Sushi is @sushi_juggapah. As Sushi said, she’s going to continuing volunteering on the podcast and hosting it for now. We wouldn’t deny you our Robyn/Sushi classic bants.